Drug firm CEO Martin Shkreli said during an online question-and-answer session that he could have been less of "a flippant jackass" after he raised the price of an anti-parasitic drug by 5,000 per cent, but the session did little to rehabilitate his public image. Drug firm CEO Martin Shkreli said during an online Q&A on Reddit that he could have been less of "a flippant jackass" after he raised the price of an anti-parasitic drug by 5,000 per cent, but the session did little to rehabilitate his public image. 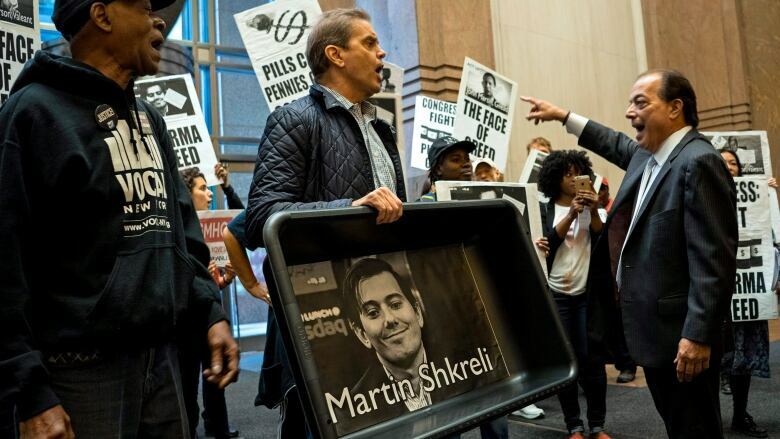 Shkreli, a hedge fund manager and entrepreneur, became known by some as the most hated man in America after raising the price of the generic drug Daraprim from $13.50 (US) per pill to $750 after his New York City-based Turing Pharmaceuticals acquired the rights to the drug in August. Shkreli held an Ask Me Anything on Reddit Sunday, answering questions from hundreds of commenters, many of them critical of the Daraprim price hike. You might be hard pressed to find many of Shkreli's responses at first glance though, because most of them have been down-voted by the Reddit community, burying them down the page. He did admit that he and his public relations team handled the controversy "poorly," and when asked if he would do anything differently, he said he would "explain it more carefully instead of being a flippant jackass." He did not say anything to suggest he regretted raising the price of the drug. Most of his other comments, however, were terse and arguably as flippant as he has been in the past. At times he called himself "very humble," said the media firestorm was "the best possible way to get girls professionally," and berated one Reddit user, in all-caps: "SORRY FOR ASSUMING AN INTELLIGENT AUDIENCE." The top-rated comment, with over 2,600 "up" votes, came from a person named Anandya, who identified himself as a doctor working in India, who took issue with Shkreli's claim that the price hike was necessary. "Now medically speaking I haven't yet heard of why your drug's worth $749 more than my pyrimethamine. Does it improve on the nausea, vomiting and diarrhoea? Does it have a folate sparing effect? Can it be used in pregnant women and in epileptics?" Anandya wrote. Pyrimethamine is one of Diaprim's active medical ingredients. Shkreli replied that he wants to use the money from sales to develop a new, more effective form of the drug with fewer side-effects. Anandya gave a detailed reply filled with medical terminology suggesting that Skhreli wouldn't be able to accomplish that without developing an entirely new drug. "One cannot suggest such a monstrous increase in the price of a drug which by your own admission does nothing better while telling me your plan is to (because this is the only way it would work) create an entirely new drug," he wrote. Shkreli later called Anandya's arguments "worthless, uninformed and off topic." When asked if he thought the Ask Me Anything session has helped "rehabilitate" his public image, he responded, "I don't really care, honestly."